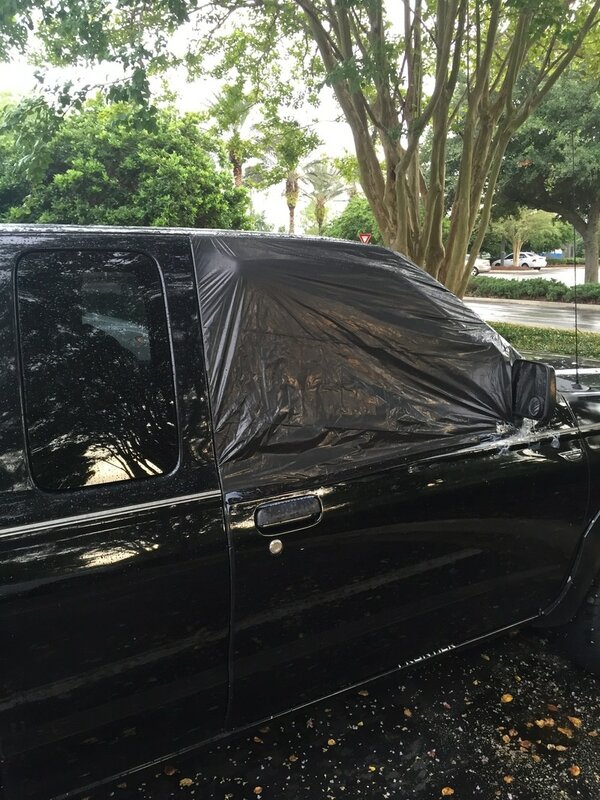 Black trash bags are a common fix to temporarily cover a broken car window - but they don't work! Obviously, you can't see through it, you can't use it on the road, and - in this application -you can expect rain to get in the car. Big Tape is a better solution until you can get your window fixed! Did you know over 1 million vehicle windows are smashed every year in robberies? San Francisco alone last year had over 25,000 windows broken and thieves broke in to grab stuff out of cars. Imagine waking up to a smashed window and having to drive to work?! Wouldn't it be great to have an easy, temporary solutions on hand? Big Tape goes on easy and comes off easy. No more duct tape and trash bags! Broken car window? Big Tape it! Everyone has a car window malfunction at some time or another! Usually at an inconvenient time! It can often take 3 days for your shop to get in the parts they need. So what do you do in the mean time? Typical solutions include duct tape and plastic bags. 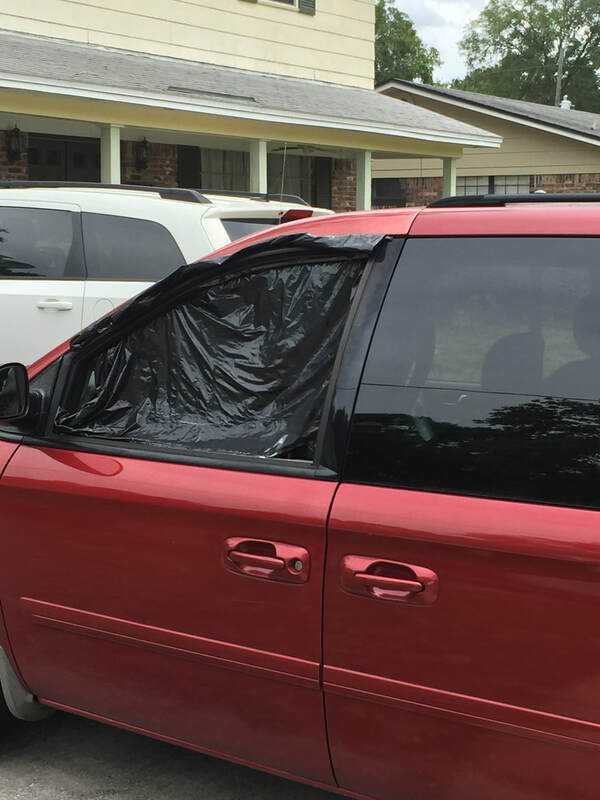 Big Tape is a temporary fix for that car window! Just unroll and apply - easy as that. And it stays on at highway speeds - and comes off easily when you are done. 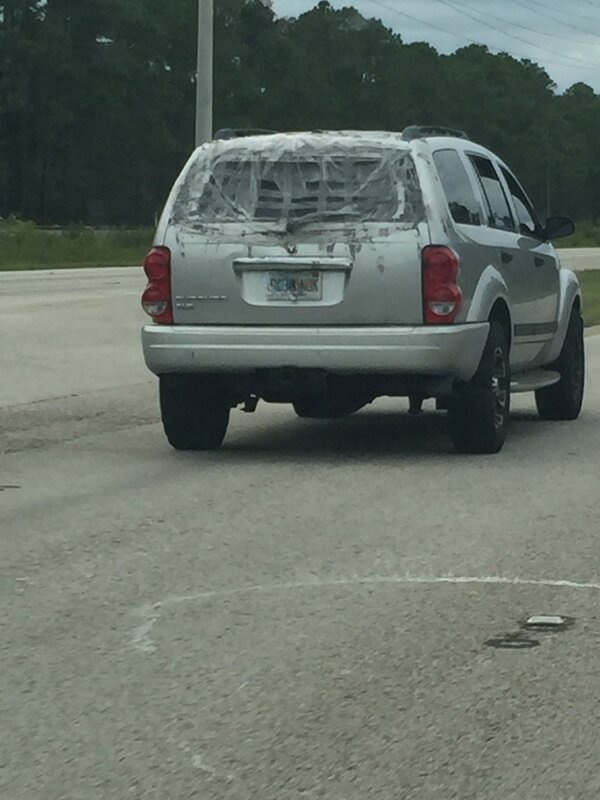 No need to try and get all that duct tape adhesive all over your car! We have all seen this! Big Tape is a better solution! Easy to apply and comes off easy when your window is ready for a permanent fix. This temporary solution is much better than trash bags and duct tape! Too Blue Industries, Inc. - creators of Big Tape and Bedder Covers.